Appreciate getting everything taken care of quickly. I would use another service in the future. The worker didn’t seem to know what they were doing, blaming me for using too much soap, then needing help to understand what was wrong. I didn’t trust that it would be good to fix & the worker couldn’t give enough info to make a decision. I think it was a waste of money. Tech was very courteous, knowledgeable and tried to correct the problem. Even though all of the tests did check out as "problem fixed", when I later did a load of wash in the washer, the problem still exists. Tech suggested calling a plumber. There was nothing else that could be done with the washer (5 months old). The problem is water pipes hammering. Great service. On time despite overnight snow. Worked quickly and solved our problem. Highly qualified for the work he did. WASHER MAYTAG MVWB725BW0 "Unable to remove basket from tub. Unit would need a new tub, basket, filter plate and screws. Customer will purchase new"
WASHER MAYTAG MVWX655DW0 "During hub install. Unable to remove agitator. Started to break pieces off trying to pull off with channel locks. Unit needs excessive parts. Office to submit parts and labor request to warranty company. If approved, allow 60 minutes for repair. Office to contact customer and schedule install ; ordrng 1 W10512161 (tub asm) and 1 W10752719 (basket) and 1 W10902814 (AGITATOR ) and 1 W11035751 (GEARCASE) and 2 WP8533928 (SCREWS)s and 1 WPW10215093 (FILTER PLATE)"
DISHWASHER KITCHENAID KDFE104HBL0 "Unit powers up and takes input with no issues. As soon as the control tried to draw any amps to run any load then the control shuts off. Monitored input voltage while the loads were running. As soon as board tries to draw amps, input voltage drops down to 70 volts and control shuts off, then control powers back up. Usually indicates a bad breaker but to make sure we will order power cord and run to outlet instead of the dedicated hardwired convection. Customer would like first appointment. ; ordrng 1 4317824 (cord-power)"
WASHER WHIRLPOOL WTW4855HW0 No error codes on the unit. Ran through a recalibration and auto test and all checks ok. Gave tenant some tips for best wash quality. Drain pan in the back is curled up so can get a solid balance on the unit back the pan is moving. Replacement of pan to get a more solid base would be advised. Only other noise was from hoses hitting the back. Could put towel between hoses and back if an issue. DISHWASHER KITCHENAID KDFE104HBL0 "Temporarily installed power cord on unit and plugged into outlet above unit instead of using the hardwired connection. Unit went through a full diagnostic cycle with no issue. Indicates issue with hardwired connection, usually when there is a voltage drop, it’s an issue with the breaker." DISHWASHER WHIRLPOOL KDPE234GBS0 "Door seal had pulled out of upper left corner. Gasket was still in good shape but wasn’t really centered. Pulled off whole gasket, reentered and set in seal. Ran through diagnostic test and all checks ok with no leaks. Also opened and closed door a few times and seal stayed in place." DRYER WHIRLPOOL WET4027HW0 "Bad centrifugal switch in motor will not stay energized, also ordering wheel if needed. ; ordrng 1 279811 (motor!dryer) and 1 WP697772 (wheel)"
DISHWASHER WHIRLPOOL GU2275XTVY1 "Open bi metal, customer to self install. Paid 138.96; ordrng 1 W10258275 (bi-metal)"
WASHER WHIRLPOOL WFW85HEFW1 "Replaced valve and latch, cleared codes ran a self test completed correctly." OVEN WHIRLPOOL WFE505W0HS0 "Replaced gasket,squeak is from lower bake element no know resolution to cure." WASHER MAYTAG MVWB765FW0 Installed gear case no leaks agitates correctly. DRYER WHIRLPOOL WGD5000DW3 "Long dry times unit heats correctly exhaust is restricted, customer to have HOA clean explained continual usage with restricted vent will blow thermo fuse." DISHWASHER WHIRLPOOL WDT750SAHW0 "Door closes correctly, mother there she is messenger from what tech understands noise is louder when strike engages latch they went to Homedepot to compare, removed door panel re installed no ab normal noise noise. See sticky." WASHER MAYTAG MVWC565FW1 "No error codes unit level, using a load of towels ran unit in agitation then spin make no abnormal noise spun out correctly. Customer states intermittent possible overloaded at time no justification for parts change, left TCA card." RANGE WHIRLPOOL WFE515S0ES0 Customer cannot see hidden bake element perception that bottom not heating there bread not cooking correctly reached set point of 350F in 15 minutes verifying both elements operational they do not have user guide. MICROWAVE WHIRLPOOL WML55011HS0 "Customer hears door open/close motor no unusual noise, grinding, clicking, etc. 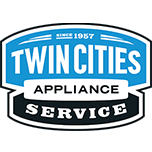 documented with WP SR7724385712"
DISHWASHER WHIRLPOOL WDT750SAHW0 "Installed dispenser, insulation wrapped around unit again amp draw on heater water hardness 1.5 advised running hot water before using unit took appx. 2 minutes to get hot water from tap, with infrequent use difficult to monitor rinse aid usage."